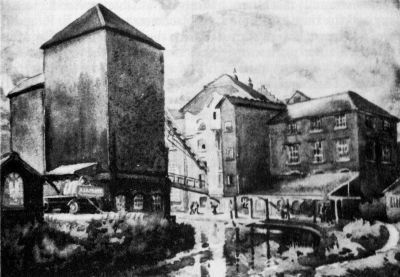 From the 18th Century onwards three corn mills were busy at Maesbury - each on the River Morda. The largest at Maesbury Hall was worked at one time by a member of the Frank family, in 1846 it was worked by Edward Peate until his death in 1872. 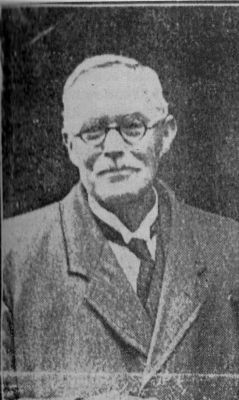 His widow then let the mill to Mr Thomas Bather who worked it until 1887 when Andrew Peate took over(Ancestor of the present owners).. Thomas Bather lived at Maesbury Hall with his wife Emma, and children Emma, William, Edith and Evaline together with a general servant girl, Elizabeth Philips from Morton. William was employed as a corn millers clerk while the girls attended Maesbury school. This was an important mill and on the making of the Ellesmere to Newtown canal, it was joined to the main canal by an 'arm' known locally as the Mill Arm. It is believed Thomas Bather also worked the Ball Mill for several years. An excellent view of A & A Peates Mill date unknown. 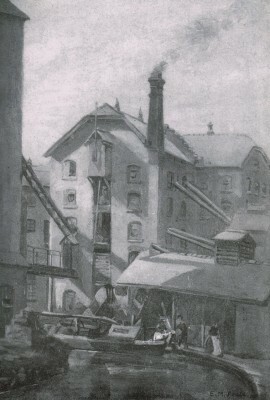 A picture of Peates Mill dated 1920's painted by Mrs Margaret Peate. for a calender of that year. 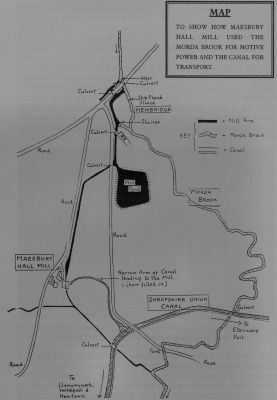 Source The Montgomery Canal by Harry Arnold. 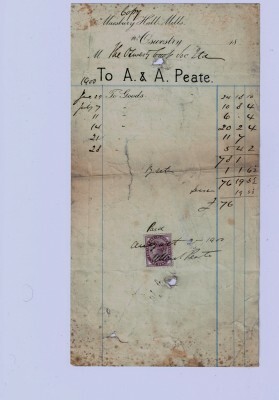 Receipt obtained on Ebay dated 1900 from A&A Peate to the Oswestry Coop Society Ltd for goods supplied in June and July of that year totalling £76.00 which in 1900 was a fair amount of money. Source Steve Thomas (Welshpool Man). Another receipt dated June 15th 1901 from A&A Peate to a Mr Knight thanking him for depositing money into the North South Wales Bank. Amount not given Note the Telegraphic Address as Llynclys. 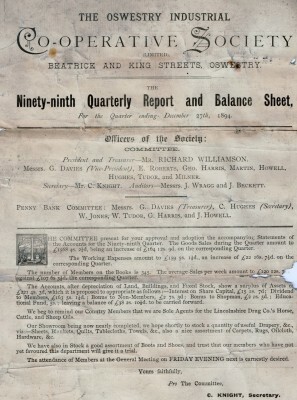 An original 4 page document of the Oswestry Industrial Co-operative Society dated 1894 of its ogm . 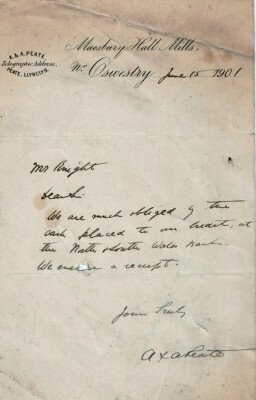 This document reveals that the Mr Knight reffered to in the above receipt was Mr C Knight (Secretary of the Co-operative Society. 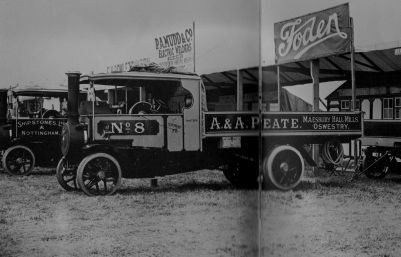 Photo of a Foden steam lorry belonging to A & A Peate at the 1924 Royal Agricultural Show. 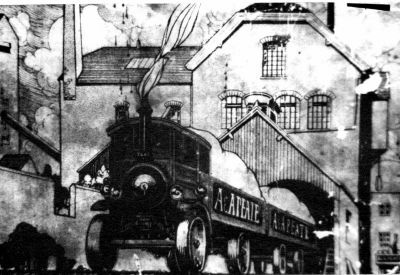 Copy of a painting by Mrs Albert Peate in 1927, showing one of the fleet of steam lorries with trailer reversing into the mill, loaded with grain having returned from either Birkenhead or Liverpool Docks. These runs used to be the longest runs of over 50 miles to pick up 10 tons of grain. If it was the Liverpool Docks it meant crossing the River Mersey on the Birkenhead to Liverpool ferry, the fare being 10s 6d, and then through a maze of streets with horse drawn vehicles stacked high with bales of raw cotton, and keeping clear of the numerous tram cars that ran on rails in the centre of the roadway. Sketch showing how the water was taken from the river Morda to power Peates Mill, before returning back to the river. 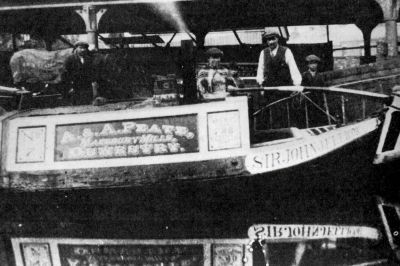 Photo of one of A & A Peates narrow boat fleet, named SIR JOHN JELLICO, moored at Chester basin with John Jones on the tiller. Date unknown. 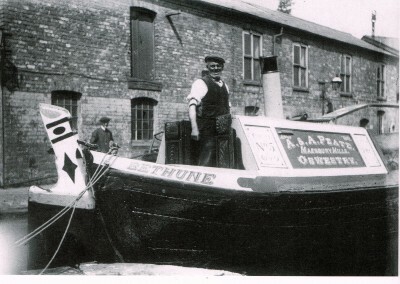 "Bethune" one of Peates boats in Tower Wharf Chester. Date not known. This boat was a steam powered boat. Note the large chimney. Photo of Mr Andrew Peate. Date unknown. Article taken from the Border Counties Advertizer dated 3rd August 1910, showing the death of William Bather. This shows the death at Rhosygadfa. 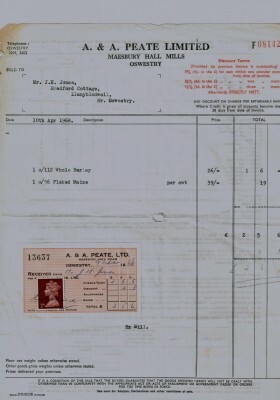 One of A & A Peates receipts dated 10th April 1964.